I hope your holidays have been wonderful and restful! 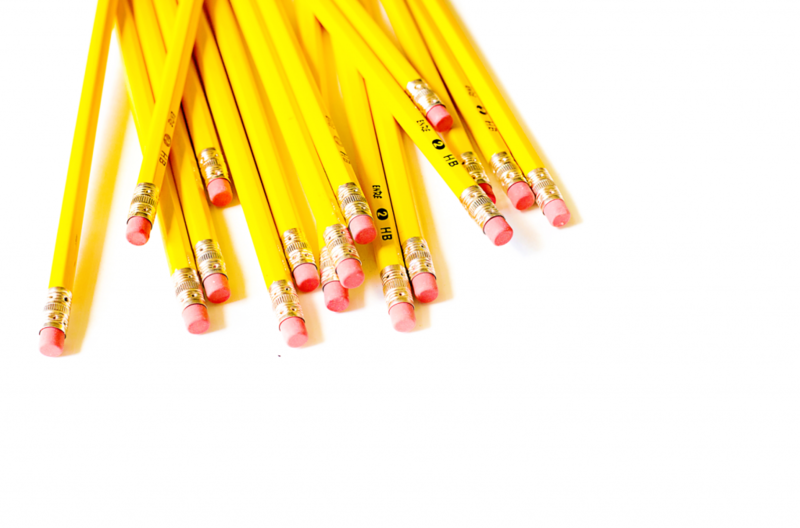 For me, winter break is always a great time to recharge and focus on the upcoming months. I usually sneak into my classroom once or twice and prepare what I need for the first week back in January. I love having that time with no interruptions or people around…it’s pretty calm and serene. This week, I’ve been busy working on a few units that have been on the back burner since September…SO glad this one’s done! It’s an money unit called All About the Benjamins. 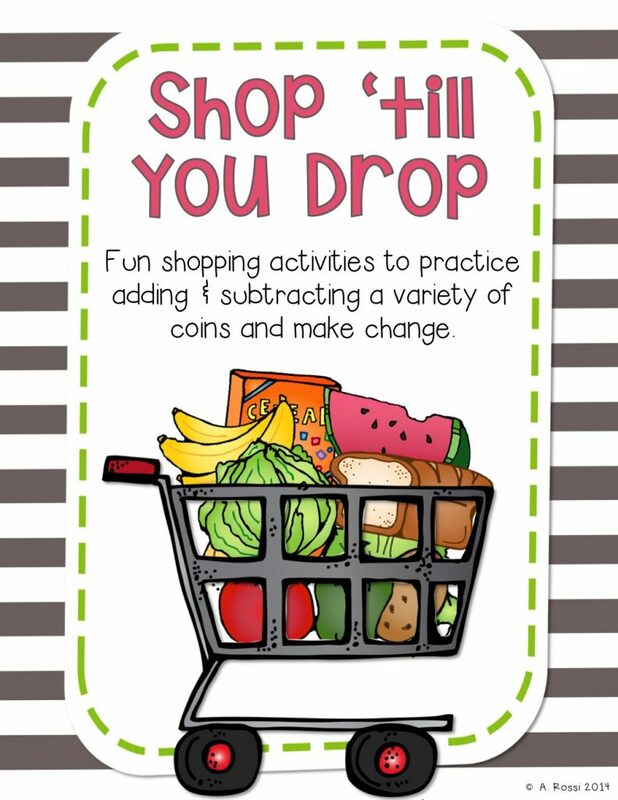 If you are looking for meaningful money activities, then you’re in luck! In this pack, you’ll find many activities to practice coin identification & explore counting coins in like groups and in mixed groups. 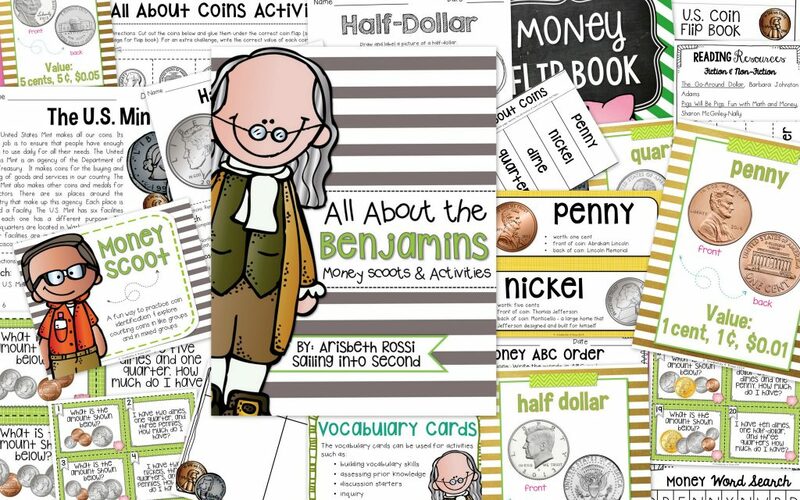 Lots of engaging lessons to help you teach your students about money and U.S. currency. 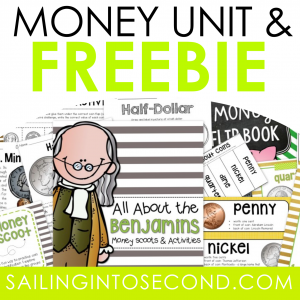 Want to try an adding and subtracting activity from this money unit? Just drop your name and personal email address in the contact box at the end of this post and I’ll send it over to you right away into your inbox! Enjoy!